Robin McGraw, philanthropist, television personality and two-time #1 New York Times bestselling author, is committed to her mission to inspire women to live their best lives. With the launch of her charitable foundation, When Georgia Smiled: The Robin McGraw Revelation Foundation, Robin has set out to enact real change by creating and advancing programs that help women and children — especially those affected by domestic violence — live healthy, safe and joy-filled lives. Robin has worked for many years with a variety of philanthropic causes that serve to improve the lives of women and children. She is a board member of The Dr. Phil Foundation, a non-profit charitable organization committed to initiating and supporting organizations and programs that address the emotional, physical, mental and spiritual needs of children and families. Robin also currently serves as a national spokesperson for CASA (Court Appointed Special Advocates for Children), a network of nearly 1,000 programs that recruit, train and support volunteers to represent the best interests of abused and neglected children in the courtroom and other settings. In 2010, in recognition of her work with CASA, Robin was initiated as a member of the Kappa Alpha Theta Fraternity, which has donated more than $1 million to CASA over the last 20 years. Robin is also member of the American Red Cross National Celebrity Cabinet. In 2007, she was recognized with the Heart of Gold Award by the Starlight Starbright Foundation for her longtime dedication to child welfare and devotion to her family, and the same year, she and her husband, Dr. Phil McGraw, were recognized with the Big Heart Award by the Westside Children’s Center for their outstanding work with at-risk children and their families. 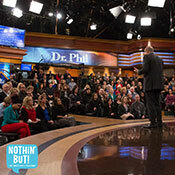 A daily presence on the Dr. Phil show since its inception in 2002 in the role of women’s advocate, viewers worldwide have embraced Robin’s contributions to the show; whether it be discussing her experiences as a wife, mother and grandmother, or dealing with issues that women face in the many phases of their lives. She has also been a frequent guest on The Doctors, created and executive-produced by her son, Jay McGraw. 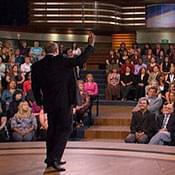 Robin has been featured multiple times on The Oprah Winfrey Show. She hosted White House Christmas 2006 on HGTV. In addition, Robin has co-hosted many television events with Dr. Phil, including Christmas in Washington, the JC Penney Jam Concert for America’s Kids, and the Boston Pops Fireworks Spectacular. Robin has also been a featured guest on such shows as Larry King Live, The View, Rachael Ray, Today, The Early Show, Entertainment Tonight, The Insider, Access Hollywood, Inside Edition, The Academy of Country Music Awards, Late Show with David Letterman, and The Hour of Power with Dr. Robert S. Schuller. Robin is a highly sought-after public speaker, whose notable appearances include being a featured speaker at Oprah Winfrey’s O You! event in 2012, discussing hormones and other women’s health issues, and a year-long tour as headliner for the Women of Faith presentations. Robin has also written two #1 New York Times bestselling books. In September 2006, Nelson Books, a division of Thomas Nelson Publishers, released her debut book entitled Inside My Heart: Choosing to Live with Passion and Purpose. In Inside My Heart, Robin shares the philosophies and life choices that have proven to align her with God’s will. Robin also advises women on recognizing and developing their unique role for greater satisfaction with themselves, their professions, their family life and anything they strive for. Robin followed her debut with the release of From My Heart to Yours, in which she offers simple but powerful words of inspiration and encouragement to women from all walks of life. In January 2009, Robin released another #1 New York Times best-seller, What’s Age Got to Do With It?, which shares all her secrets to success — along with some mishaps — in the areas of fitness, nutrition, skincare, menopause, hair, makeup and fashion. Robin’s most recent book Christmas In My Heart and Home conveys her favorite aspects of the holiday season. 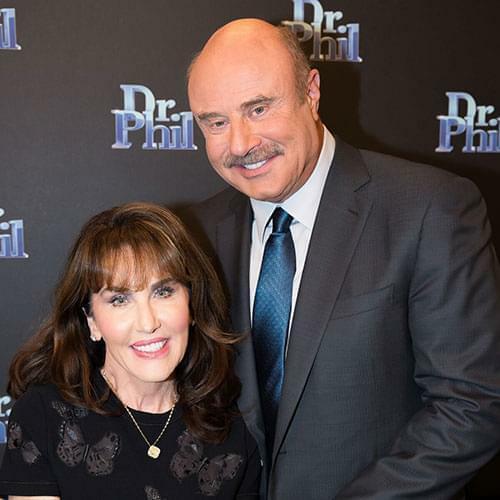 Robin and Dr. Phil, whom she fondly refers to as “Phillip,” have been married for 38 years and have raised two sons, Jay and Jordan, now grown. Robin continues to make her family, which now includes daughter-in-law Erica, and two grandchildren, Avery and London, a priority in her life.